Shrimp plant is native to Mexico. 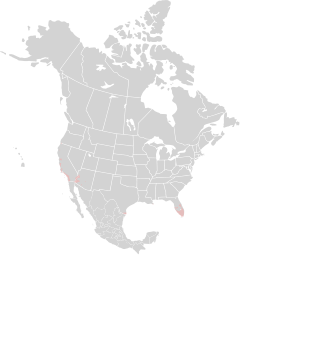 It is not found in the wild in the US. 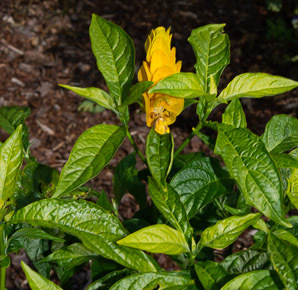 Golden shimp plants are easily confused with yellow shrimp plants—even at close range, they look nearly the same. 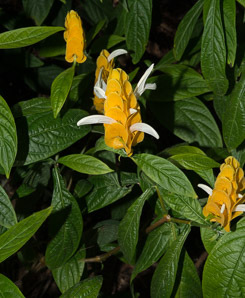 But the yellow shrimp plants (Justicia brandegeana ‘Yellow’) are really cultivars of the red shrimp plant, while the closely related golden shrimp plant, Pachystachys lutea, is a different genus. If you are growing these plants, the difference matters, because the latter (golden) is not as cold hardy or drought tolerant. 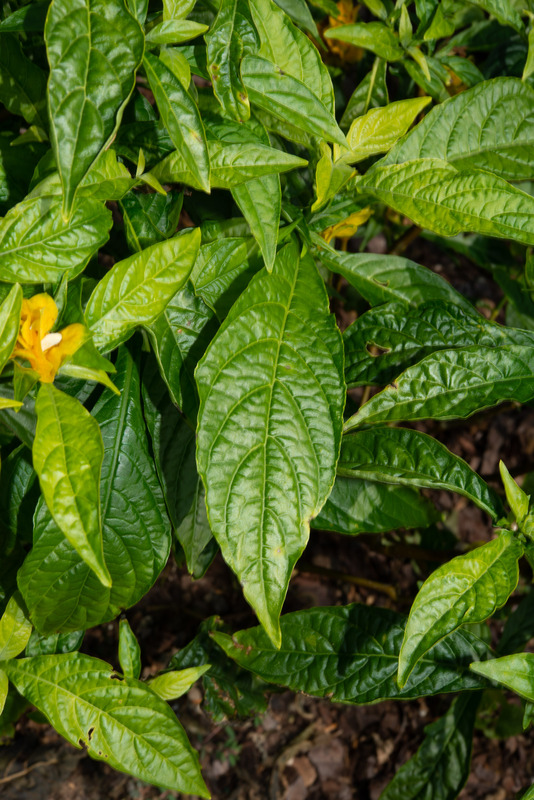 Identification: Shrimp plants are 3-4' (91-121 cm) tall. Leaves are oval, 1-3" (3-7.5 cm) long. Stems and leaves are downy. 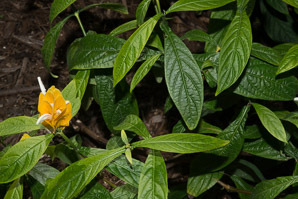 Branches are topped by yellow “flowers” that are really bracts—modified leaves. These have a shape and texture suggestive of shrimp, hence the common name. They are about 6" (15 cm) long and bright yellow. The bracts grow in segments like sections of shrimp shells, sometimes reaching as much as a foot in length. The real flowers are white, tubular, with long throats containing deep red speckles. They show bilateral symmetry. 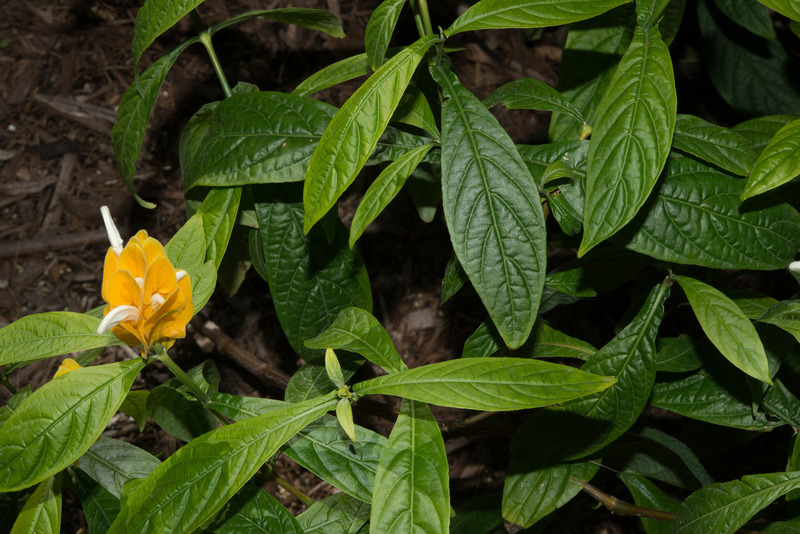 They are about ¾" (1.9 cm), and fairly inconspicuous compared to the yellow bracts. 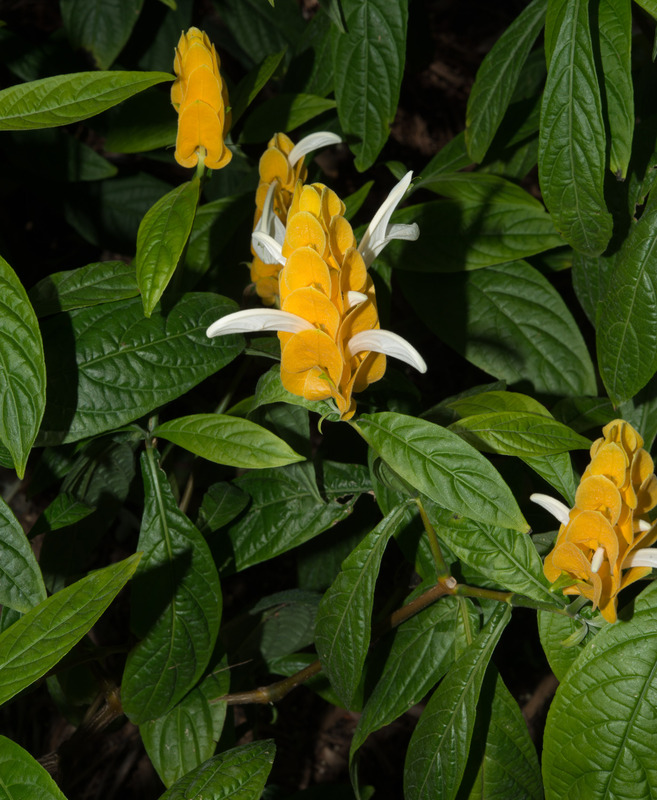 Pachystachys lutea description by Thomas H. Kent, last updated 12 Oct 2018.